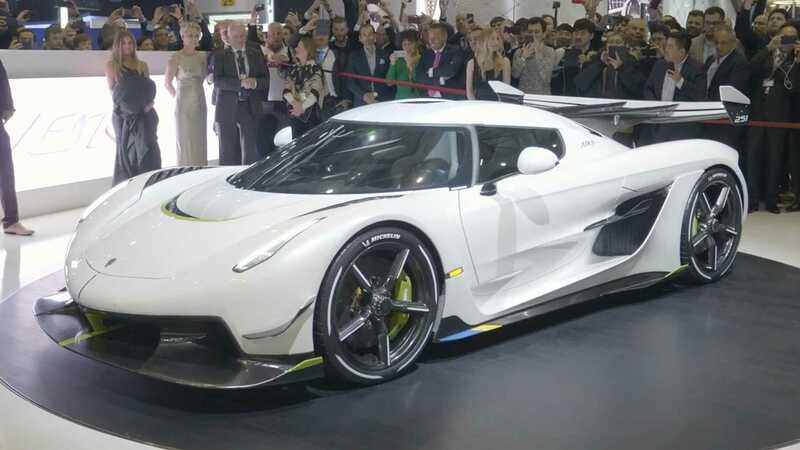 The entire planned production batch of 125 Koenigsegg Jesko hypercars has been sold out in pre-orders, the manufacturer announced earlier today. Apparently, the company received 83 pre-orders before the Geneva show reveal and 42 more in the five days that followed. Actual production of the vehicles, each of which costs U.S. $3,000,000 or more, will not begin until at least late 2020. The company plans to push out a new car every seven days. Provided that there are no breaks from the schedule, the last Jesko will roll off the assembly line roughly two and a half years from the production start. Koenigsegg also pointed out that some of the pre-orders were made by authorized dealerships on behalf of clients who could not personally attend the 2019 Geneva Motor Show. The company will be building the car in two trim versions, Track and 300 Edition, with the latter rumored to be capable of maintaining 483 km/h (300 mph) in a straight line. From the technical perspective, each car will offer an active aerodynamic kit, rear wheel steering, and adjustable transmission/engine parameters. The 300 Edition will also reportedly offer a higher level of driving comfort that the Track version. Marketed as an official replacement of the Agera RS, the Koenigsegg Jesko comes equipped with a 5.0-liter twin-turbo V8 engine mated to an eight-speed semi-automatic transmission. Its nominal power output amounts to 1,600 hp (1,193 kW) and 1,500 Nm (1,106 lbft) of torque.